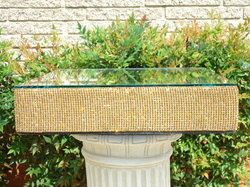 size are 18" and 20"
We have Round and Square stands available for rent. 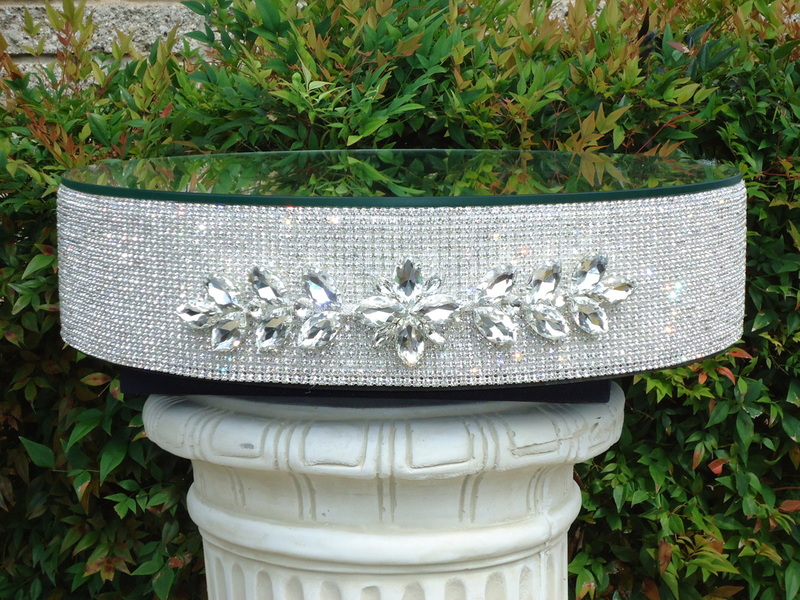 Crystal Cake Stands 18" and 20"
The 18" Stand fits tiered cakes with a 16" bottom or less. 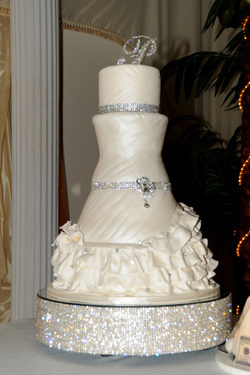 The 20" Stand fits tiered cakes with a 18" bottom or less. 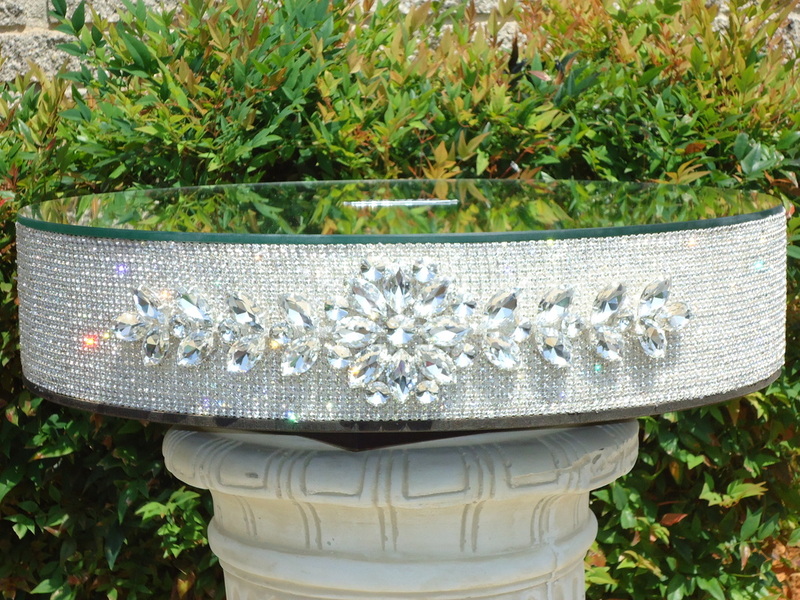 Pictured here is the 20" Round Crystal Cake Stand with out the Applique. * Please check your contract for the refundable deposit fee or call for the information. The 20" Round Stand fits tiered cakes with a 18" bottom or less. 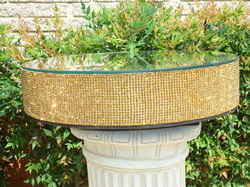 The 20" Round Gold Stand fits tiered cakes with a 18" bottom or less. 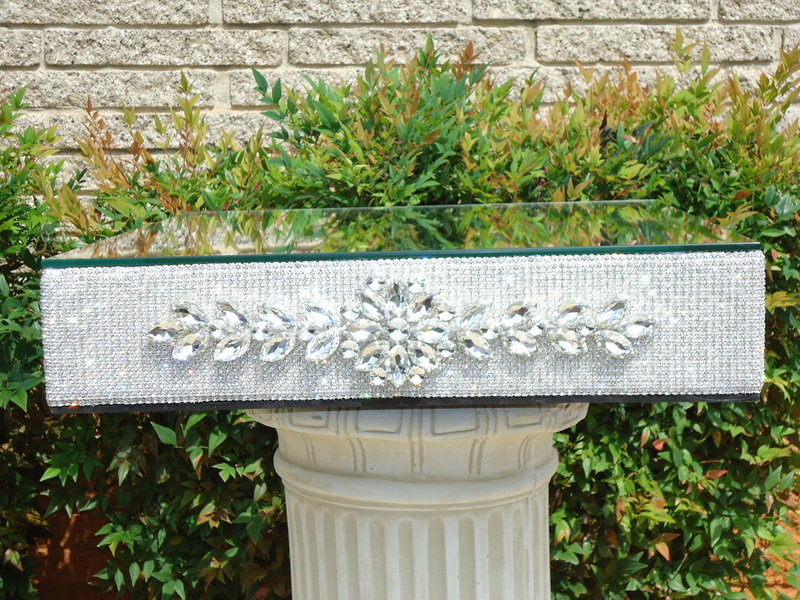 This 18" Stand fits tiered cakes with a 16" bottom or less. 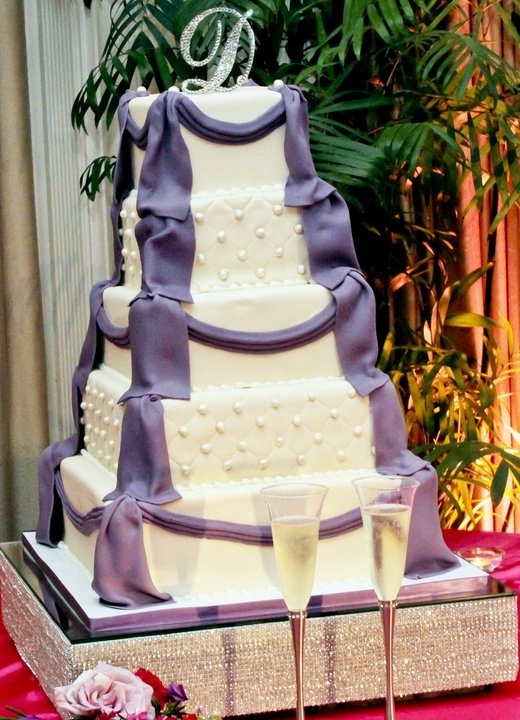 The 20" Stand fits tiered cakes with a 18" bottom of less. 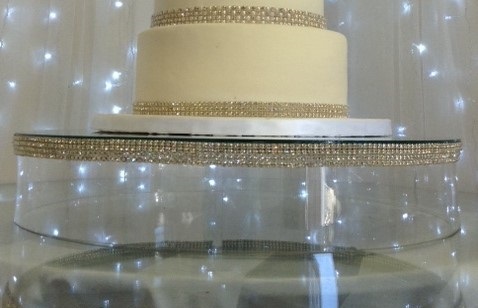 This 20" Stand fits tiered cakes with a 18" bottom of less.